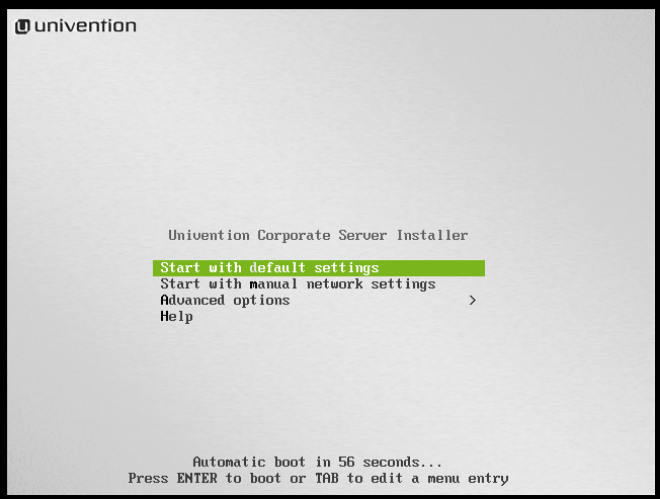 Univention Corporate Server (UCS) is a server operating system based on Debian GNU/Linux with integrated management system for the central administration of servers, services, clients, desktops and users. 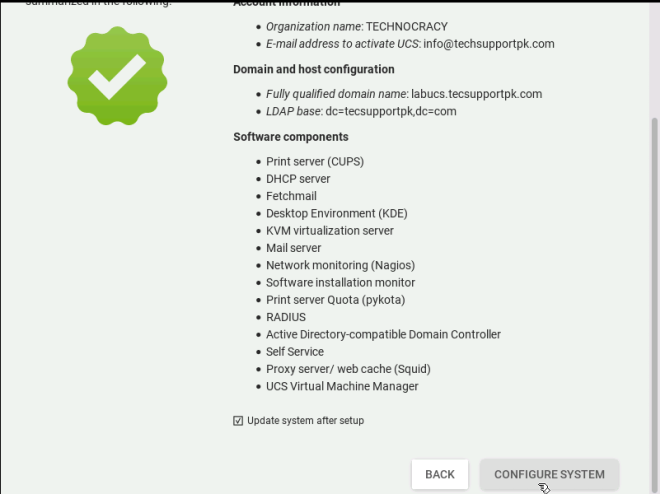 It includes the necessary Open Source software to provide Active Directory domain functionality, among others basically Samba 4, Kerberos and OpenLDAP and integrates them in a maintainable and sophisticated way. 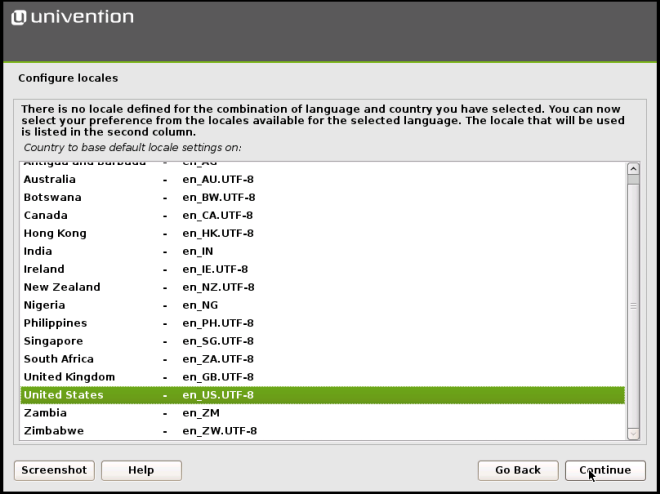 The vast majority of software packages are built by the Debian project. 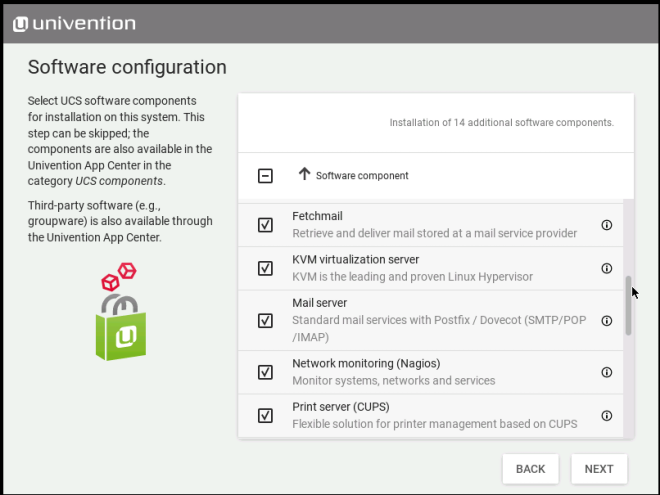 Some packages, though, are built by Univention, because they are newer than the stable version of the Debian project, for example, the Linux kernel, Samba or OpenLDAP, or because the packages are customized with patches. 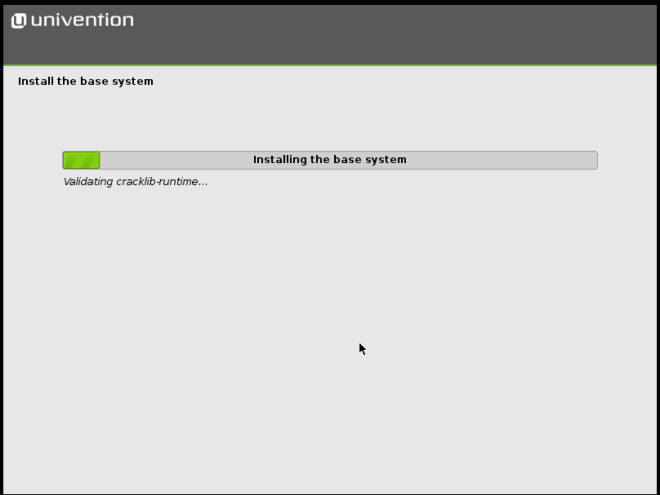 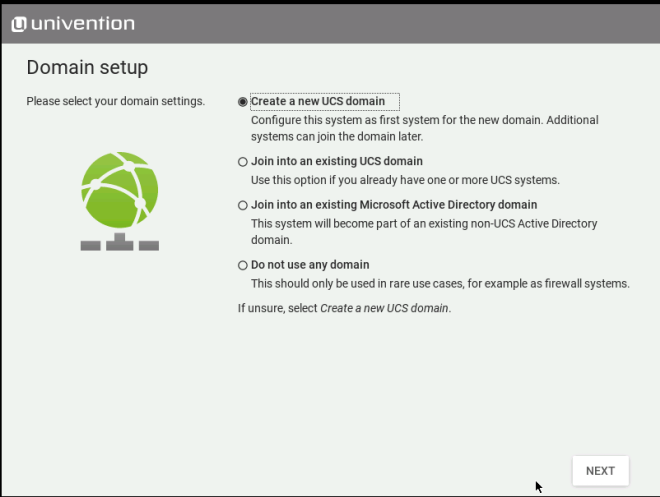 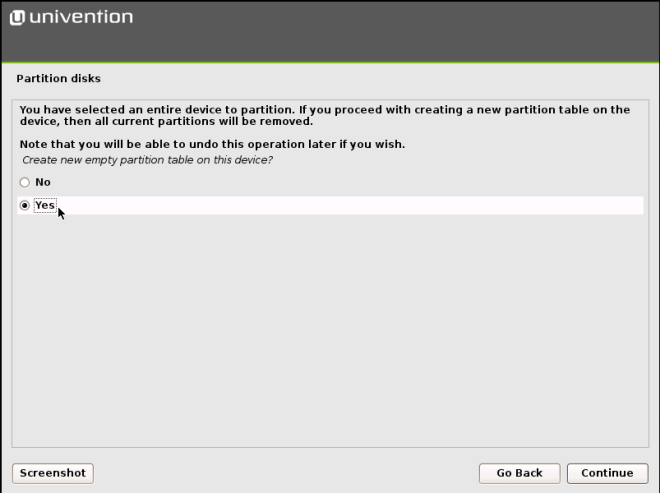 This tutorial walks you through the steps to install and configure your first univention corporate server (UCS). 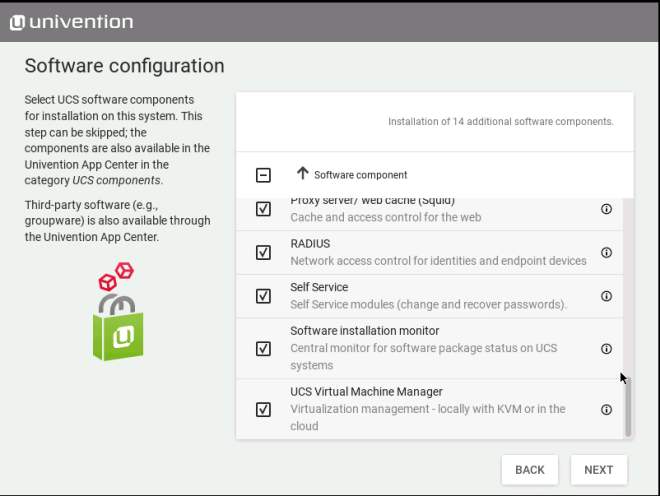 You can install UCS either on a bare-metal hardware or on a virtual machine with enough memory and disk space as recommended or according to your environment. 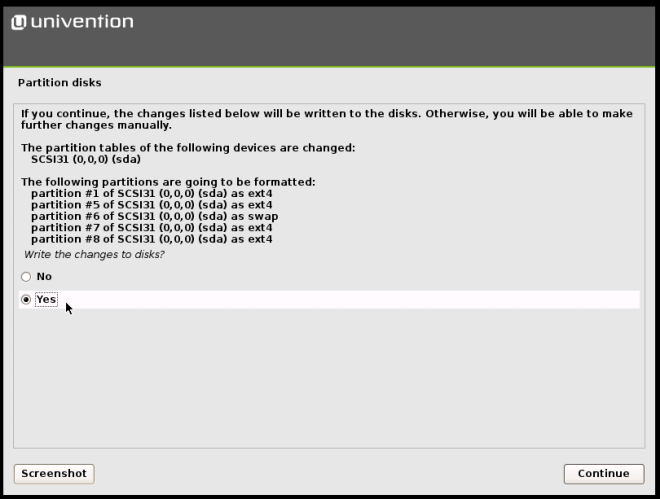 Power up your machine, boot from the UCS bootable media you have and select the first option from the menu as shown in image below. 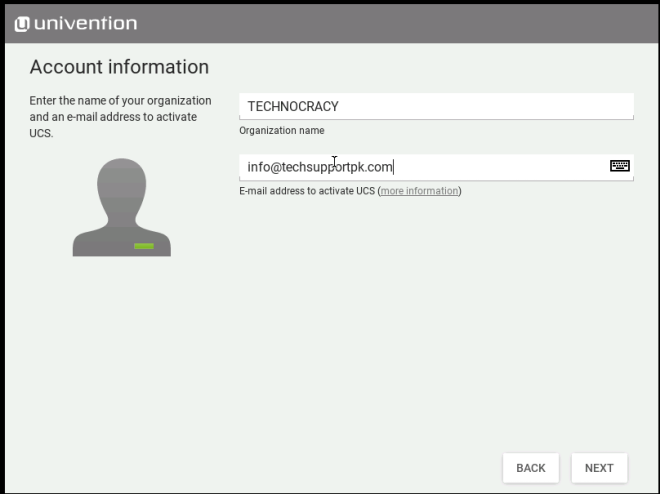 Enter your Organization name and email address to activate UCS. 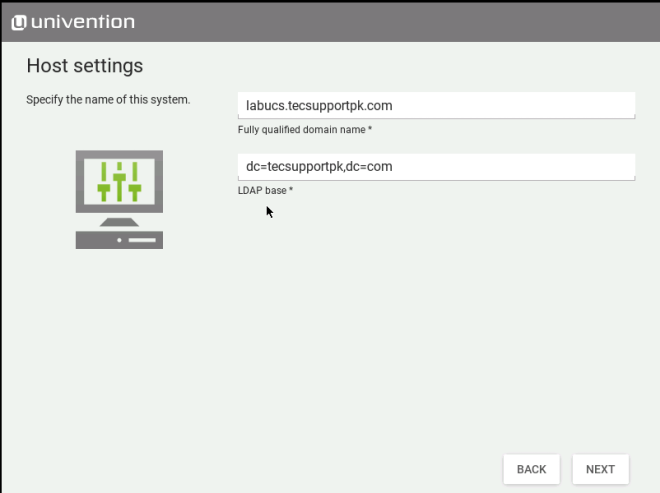 Enter your domain info: in our case labucs is the hostname and techsupportpk.com is domain name. 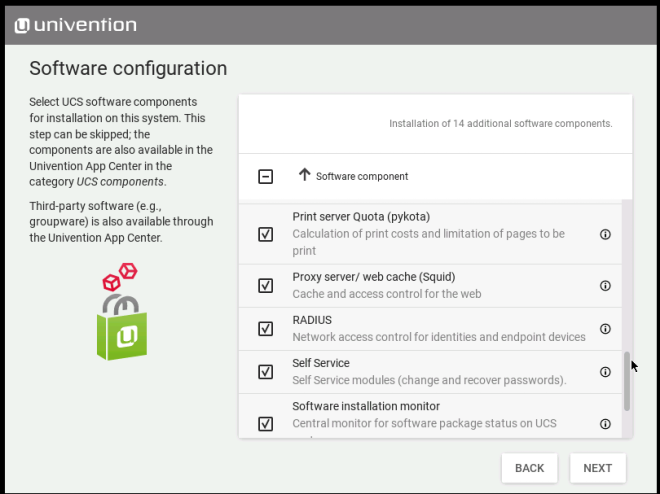 Pay attention and choose software components as per your need. 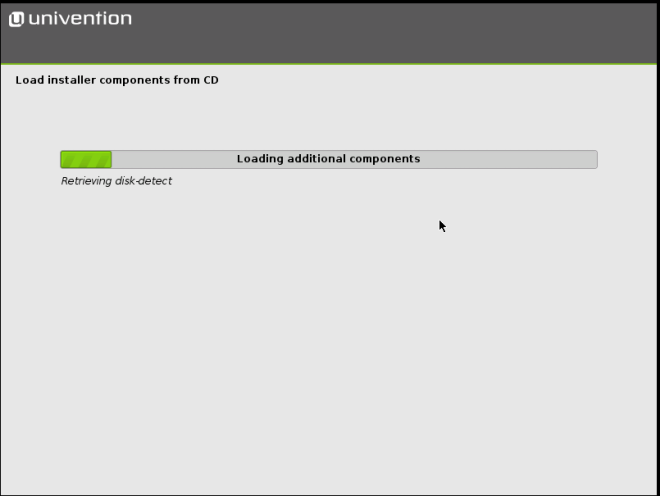 I will install all components except first two as I don’t have any windows active directory domain or I don’t want to migrate. 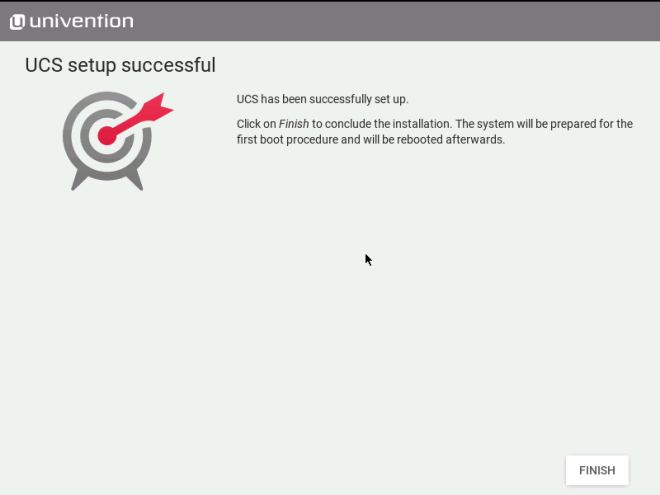 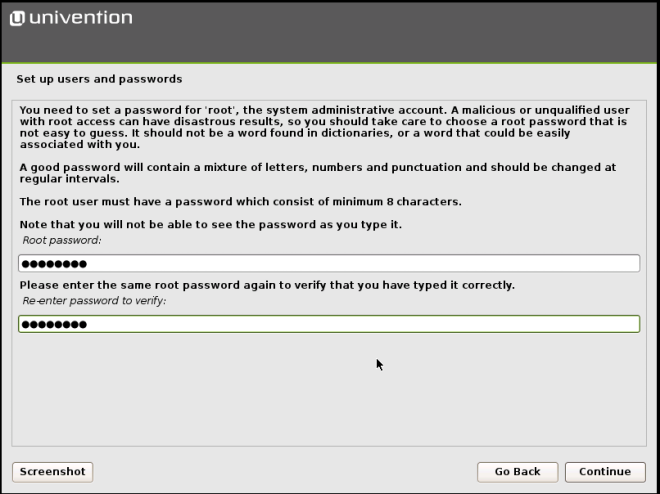 You will be presented a login screen after UCS boot but you do not need to login here. 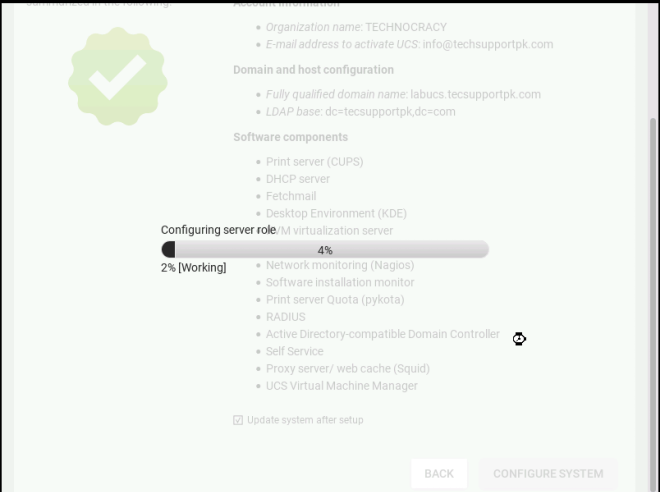 At this stage, open up web browser and navigate to https://ucshostname.domain.name and login with username administrator and password as same of root you provided earlier during installation. 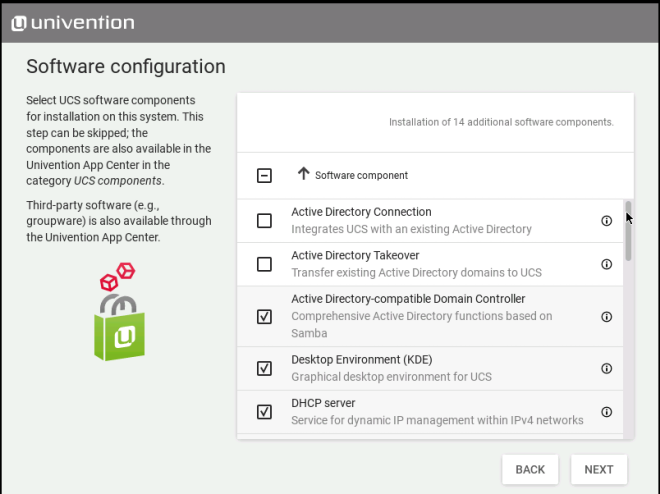 From the web interface GUI of UCS you can manage everything.